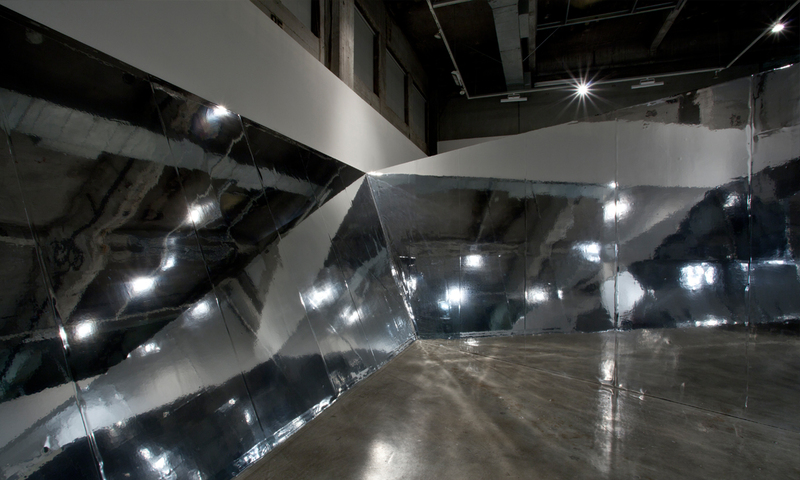 ANISOTROPY( Los Angeles, 2007 – SCI ARC) by Odile Decq is an installation composed by triangle shaped pieces cladded of mirrors and I’m interested in it because of the multiple possibilities of visions, every time different, and because of the seductive use of the materials. I think that the concrete floor of the room plays a fundamental role. 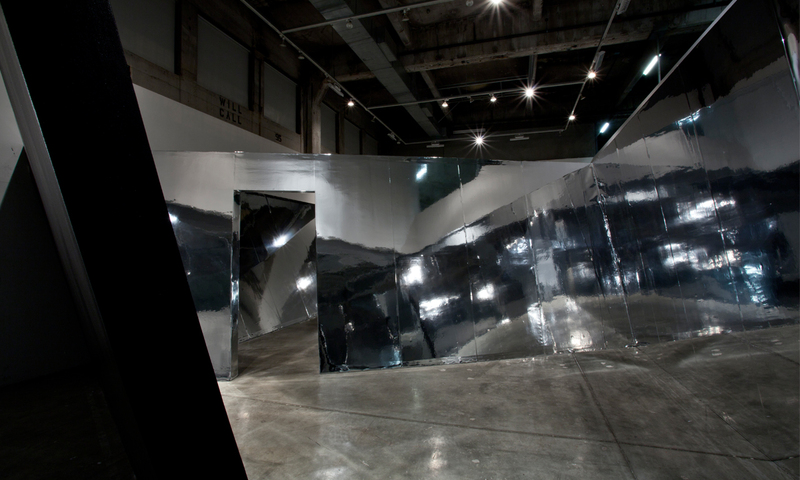 “By altering our magnetic anisotropic properties, this project challenges our mental perceptions and questions the way we move through space. 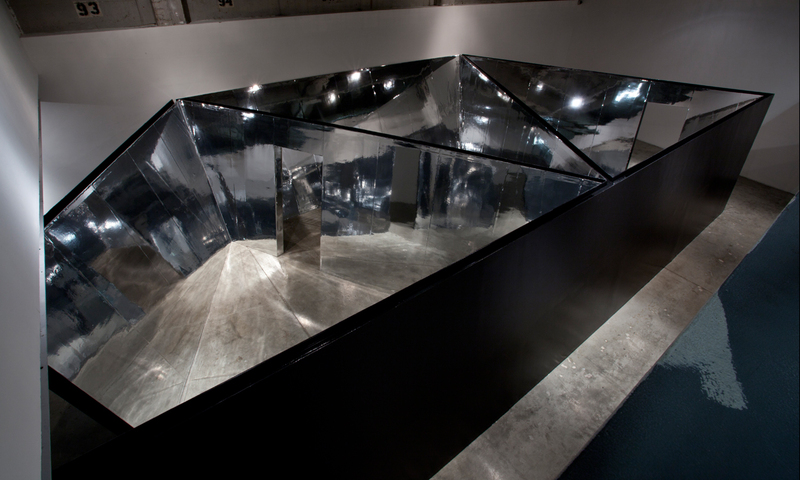 It creates a series of spaces, each unique in spatial experience, though physically similar. Each space created is dis-functional, in order to alter and obscure the perception we construct of space and place” (extract from ODBC website). Anisotropy is the property of being directionally dependent, as opposed to isotropy, which implies identical properties in all directions. It can be defined as a difference, when measured along different axes, in a material’s physical or mechanical properties (absorbance, refractive index, conductivity, tensile strength, etc.) An example of anisotropy is the light coming through a polarizer. An example of an anisotropic material is wood, which is easier to split along its grain than against its grain (definition from Wikipedia). All images are on the website of ODBC. This entry was posted in ART and tagged Anisotropy, architecture, arts, Los Angeles, ODBC, Odile Decq. Bookmark the permalink.